We’re only a click away! DON'T GIVE OUT YOUR ONLINE BANKING USERNAME OR PASSWORD TO ANYONE!!!! Every year, thousands of people lose money to telephone scams - from a few dollars to their life savings. Scammers will say anything to cheat you out of money. Some seem very friendly and may claim to work for a company you trust. If you get a call from someone you don't know who is trying to sell you something you hadn't planned to buy, say "No Thanks." And, if they pressure you about giving up personal information - like your debit card, bank account, username, passwords or Social Security number - it's likely a scam. 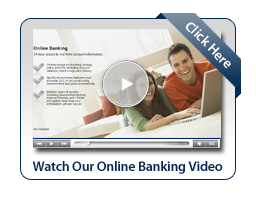 Online & Mobile Banking allows you the freedom to bank on your schedule, not ours! With Online Banking from First State Bank, you can check your balance and account activity, pay bills, send money, or view statements whenever you'd like from your personal laptop or phone. Sign up today and enjoy the ease of banking 24/7.